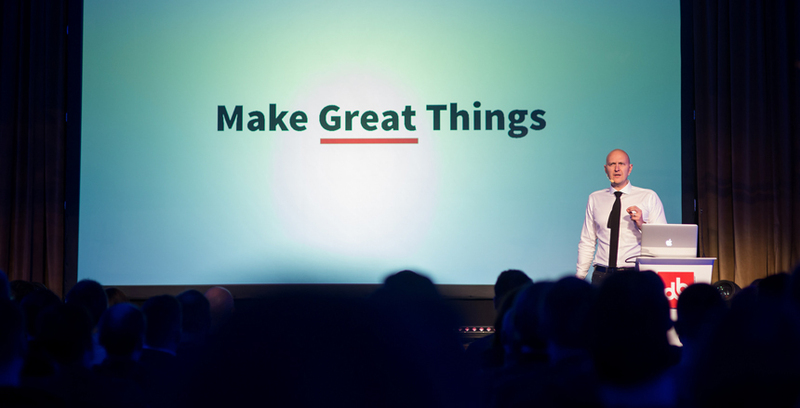 This week, Devbridge celebrates its birthday: Nine years of making great things. In just shy of a decade, the fields of software and technology have changed drastically. So has Devbridge. To celebrate nine years in business, it’s the perfect time to reflect on those changes and look ahead at what’s to come. We asked some of our senior leadership what has changed the most in nine years. The answer? In short, everything. In 2008, Apple released its first iPhone—coincidentally, the year Devbridge was founded. The device’s release elevated great design to be an expected standard, ushering in a new era of mobile computing and communications. “Mass adoption of the iPhone has led more customers to expect software to be helpful, responsive, and effortless to use—just in time for us to capitalize on our cross-functional team skill set.” Aurimas Adomavicius, President at Devbridge, said. As more people began to use the iPhone and other smart devices, there was an explosion of software that was produced to consumers. With that growth came a change in user expectations, and companies across all industries needed to adapt. “Consumers exposed to better interfaces and polished software started expecting the same from enterprise software,” Tomas Kirda, Solutions Architect at Devbridge, said. People now expect more from software, which requires that software to evolve. "Customers want to see delivery options, estimates, track progress, on-time delivery and simple invoicing or payment," Bill Cronin, Director of Products at Devbridge, said. "Speed to market is also important. Our customers see how quickly new features are released in the apps they use every day—Facebook, Amazon, etc.—and want to create that same market responsiveness." That acceleration of bringing new features to market is another fundamental shift in how technology products are produced. “Historically, products used to see updates on an annual basis—large, drawn out release cycles that, in theory, improved upon the previous version,” Adomavicius said. “Today, customers expect the product to evolve as they use it and the company to react to their feedback. Successful product companies such as Netflix, Spotify, Google, and others roll out changes to their digital products on a daily basis using continuous delivery." This responsiveness builds brand loyalty and delighted customers that advocate for the brand. On the flip side, organizations that fail to react to customer feedback find themselves losing market share, as technology has provided customers with the means of easily transferring their accounts across services. Nine years: What’s changed the most? In nine years as Devbridge president, Adomavicius believes the biggest industry change has been the evolution of software into a digital product. Whereas historically software was built by engineers, the disciplines of Product Management and Product Design have ushered in an era of customer-driven software development. What will the next nine years hold? Even two years of change can be difficult to predict in the technology industry, but Adomavicius identified several areas where he sees change coming—chiefly in the areas of service design, microservices, and the growing internet of things. Those changes will have a common thread: The shift toward continuous delivery. As technology changes over the next decade, so will Devbridge’s role in producing exceptional digital products for some of the world’s largest companies. “I see us continuing to evolve and improving processes to stay current with the industry,” Kirda said. “We’ll continue to find better ways to build software, deliver digital products, communicate with clients, and ultimately make great things." As part of Devbridge’s nine-year anniversary, we produced a series of videos that delve into making great digital products. Where do you see technology going over the next decade? Join us on this journey.